Find the cheapest tickets to travel from Cardiff to Lyon by coach, train, carsharing and flights. 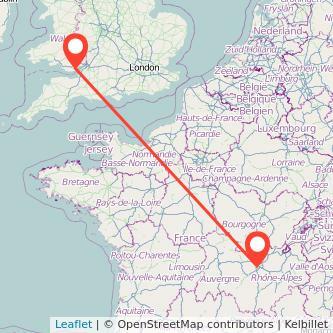 Gopili compares prices to help you find cheap bus tickets from Cardiff to Lyon for the coming days. You can also have a look at the prices for the Lyon Cardiff bus to make sure you get a seat for your return journey.